A quick and easy way to visualize notes on the fretboard. Which means, you’ll never worry about playing the “wrong” notes again. Essential minor, Major and blues scales, so you can solo with confidence over any style. How to transpose licks to any key. Easy ways to make use of music theory. So you don’t waste time on stuff that doesn’t help your playing. 1 simple trick that makes it easy to connect chords and scales. 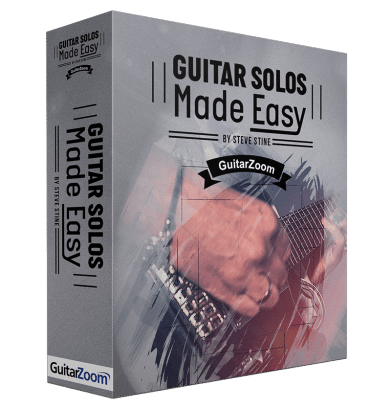 Which means, you’ll be able to create your own solos from scratch. Includes over 6 hours of HD video lessons and downloadable tab books. 100% satisfaction guaranteed, or your money back. No receipt required. No thanks, I’d rather keep playing "boring" solos.